The old custom of wearing ornaments through piercings in the lower lip was already disappearing by the 1870s when this labret was purchased on Nunivak Island. 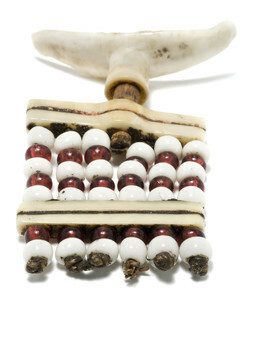 The curved ivory piece fit inside the mouth against the gum. Labret styles varied from village to village; this one was crafted from red and white trade beads.